Please everyone, put your submissions in with regards to local government recognition in constitution. Some of the submissions state Australian Constitution and not the Commonwealth of Australia Constitution Act. 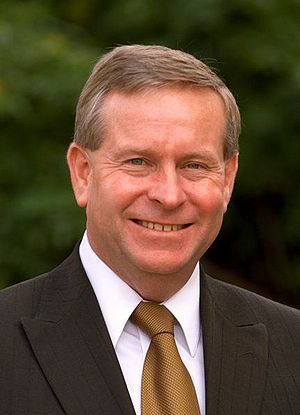 I have attached the submission from Colin Barnett. Something is going on it WA. The federal government does not have his support. Maybe he already knows this will wipe out state government in preference for local government. Do you know about this Committee? On 1 November 2012 the Parliament of Australia established a Joint Select Committee to inquire into and report on the majority finding (financial recognition) of the Expert Panel on Constitutional Recognition of Local Government including by amending section 96 of the Australian Constitution. The Committee may report from time to time but it has been asked to present a preliminary report no later than December 2012 if possible; and directed to present a final report no later than February 2013. The Final Report from the Expert Panel on Constitutional Recognition of Local Government can be accessed by clicking on the link Expert Panel on Constitutional Recognition of Local Government. Public submissions to the Expert Panel are available to the Committee for the purposes of this inquiry. The Committee invites interested persons and organisations to make submissions addressing the terms of reference by Friday 15 February 2013. Section 96. The Constitution of the Commonwealth of Australia. “During a period of ten years after the establishment of the Commonwealth and thereafter until Parliament otherwise provides, Parliament may grant financial assistance to any State on such terms and conditions as the Parliament thinks fit”. I will strictly make an effort to listen to the Television News, ABC in particular- (I do not buy newspapers) as to whether I will hear abut the 2nd public hearing in February. Todate, I have asked at least 20 of my friends, and not one person was aware. Therefore, I kindly request that the Submission date of 15 February, 2013 be extended. I know that it can be done. The Northern Territory Intervention Submission date was extended. Thanking you, and have a good day. IMPORTANT TO READ THE TRANSCRIPT AS DETAILED BELOW AS WE MISSED OUT ON THE PUBLIC HEARING. 01Nov12 Parliament of Australia established a Joint Select Committee to Inquire and report on the majority finding (financial recognition) of the Expert Panel on Constitutional Recognition of Local Government including by amending sect 96 of the Australia Constitution. ONLY ONE ‘PUBLIC HEARING’ IN SYDNEY ON 16 January 2013 – Did you know about it????????????????????????????? To Read the Transcript – Click into “Public Hearing”, then to left of screen: ADOBE PD File – this is the Transcript folks!!!!!! Enjoy the read, and ensure to read some of the submissions by councils and associations. The attached files give you an avenue of interpretation regarding the invalidity of the State government in Victoria, and in other States where the so called Parliament rely upon section 51(xxxviii). Any questions please forward those questions through the CLRG email and they will answered asap. This entry was posted in News Archive and tagged Australia, Australia Constitution, Colin Barnett, Final Report, Friday 15 February 2013, New South Wales, Parliament of Australia, Select committee (Westminster system), State government by renaissancelearningfoundation. Bookmark the permalink.